Toast black, pink, and white peppercorns and bay leaves in a skillet until fragrant. Let cool, then crush in a bag using a rolling pin or heavy skillet. Mix with salt, sugar, lemon zest, and orange zest. Apply to turkey and after curing, rinse off thoroughly and pat dry before roasting. 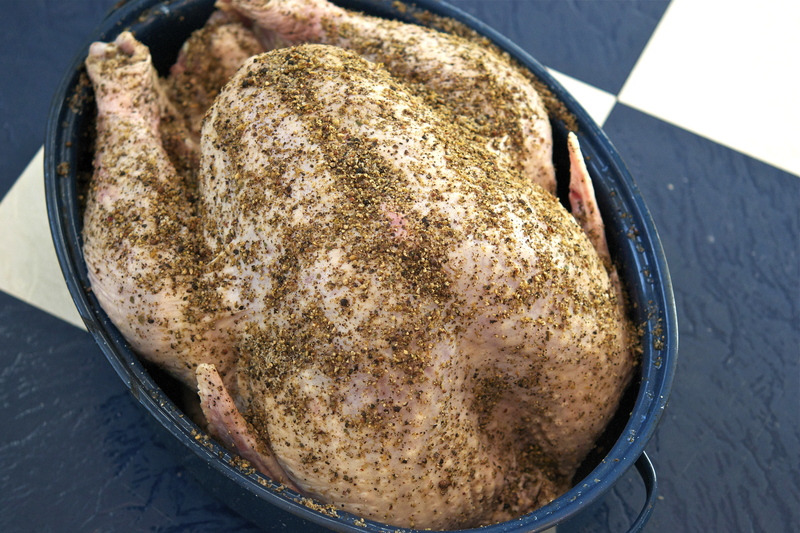 DO AHEAD: Dry brine can be made 3 days ahead. Cover and chill.